ST. GEORGE – A plane crashed at the St. George Municipal Airport Friday evening after it experienced a mechanical failure. 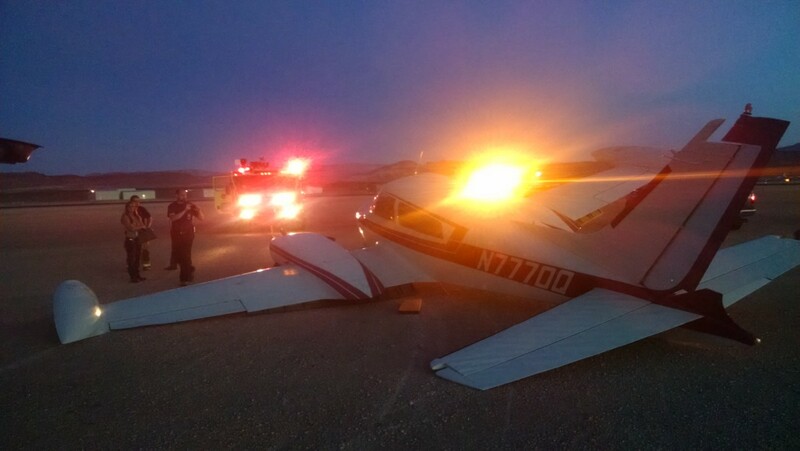 The incident occurred at about 7:30 p.m., when a pilot was landing a twin-engine Cessna 310 on runway 19 and the left main landing gear collapsed, causing the plane to skid off the runway, Airport Operation Supervisor Brad Kitchen said. Two people were in the six-seat aircraft when it crash-landed, but both walked away uninjured. The plane, however, may be totaled due to the potential extent of the damage, Kitchen said. The Federal Aviation Administration was contacted about the incident and then, in turn, contacted the National Transportation Safety Board in order to gain permission for airport personnel to move the damaged aircraft. 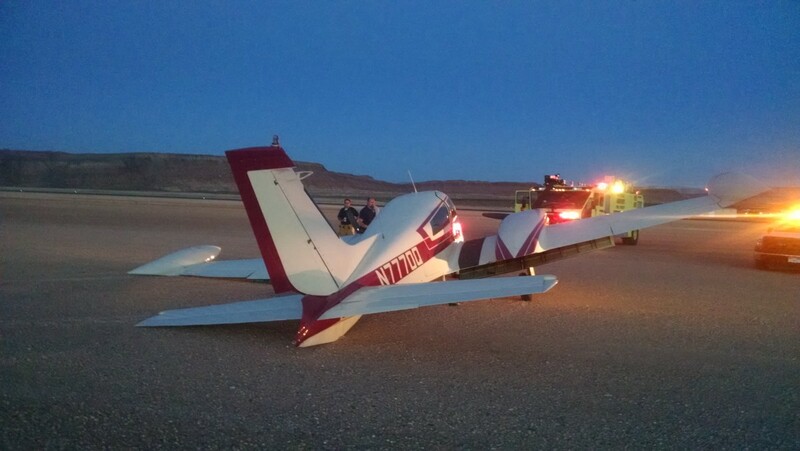 Another plane crash previously occurred at the airport Feb. 21 when an experimental single-engine aircraft was hit by a crosswind while landing on runway 19. The pilot was ejected from the aircraft when it crashed but was uninjured with the exception of a few scratches.